With the weather warming up and the days getting longer, the paths of Ireland’s forests and woods are filling up with trail runners taking advantage of the season. 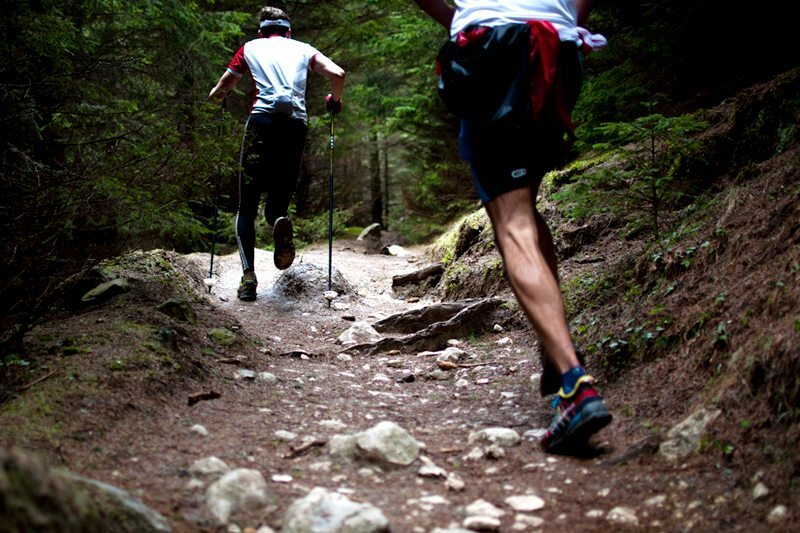 Trail running differs from traditional road running in one simple but important way–it takes place off the beaten path and out in a forest, on a mountain, or anywhere in between. It’s a great way for runners to infuse energy and variety into their workouts while enjoying the natural scenery. Ireland is an excellent country for trail runners. Our varying terrain and abundance of natural trails affords athletes the ability to try new routes as often as they please. Some are relatively easy and others are extremely difficult, but ask any runner training in Ireland where they like to go for a mix of challenge and natural beauty and all of them will offer up the same location: Wicklow. Here at Great Outdoors, we have staff who participate in nearly every sport under the sun. A lot of them do a little bit of everything, too. But our notorious trail runners, John O’Regan, John Guy, Petra Fasungova, and Eoin Kelly, have all offered to share some of their advice and experience about trail running, Wicklow, and gear recommendations. Trail running isn’t easy. In fact, it can be extraordinarily strenuous on the body and test your physical and mental strength in ways that you’ve never anticipated. John O’Regan, one of our sponsored athletes, is an ultrarunner, which means he specialises in running in any distance longer than a marathon, which is 42.195 kilometres. When asked why in the world he would put himself through that, he said that it happened by accident. Years ago, he’d heard that there was to be an ultramarathon in the Sahara Desert, and he thought: “What a cool way to see the Sahara Desert!” Since then, he’s been running competitively and has completed races on all seven continents. He says that the appeal of running really started with his interest in all of the wonderful places that running could take him. Ireland isn’t a large country, but there are many, many different places outdoor enthusiasts claim as the “best spot” for their preferred activity. Wicklow, has been noted time and time again as a perfect place for trail running. John Guy, a store manager who you might find in our equipment or footwear sections, prefers the St. Kevin’s Way in Wicklow. The main route begins in Hollywood and stretches 30 kilometres into the Glendalough valley, following the footsteps of the 7th century St. Kevin. Ancient pilgrims used to follow this path to honour the saint, but modern runners and walkers enjoy this trail for its varying terrain and stunning scenery. When training for races, Eoin frequents the Great Sugarloaf, which is a 500 metre mountain jutting out among the Wicklow Mountains. The trail is only 7 kilometres, but it’s rather steep and can provide a challenge for those who are up to it. And when you reach the summit, your hard work is rewarded by the most spectacular view of Dublin and Wicklow. What gear do I need for trail running? The importance of choosing the right gear simply cannot be overstated. 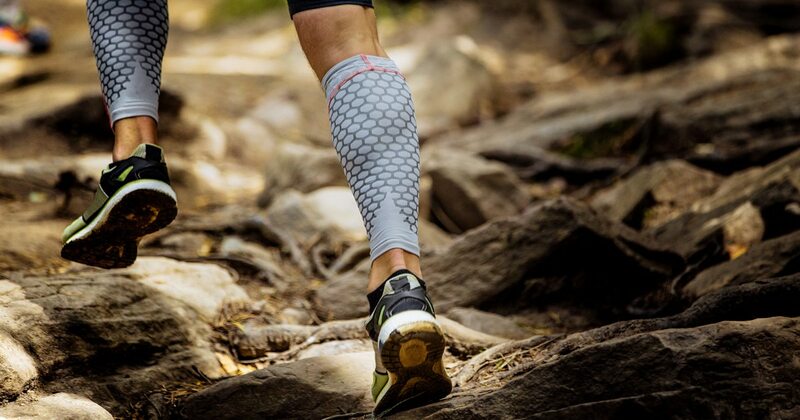 While everyone has their own preference of clothing and accessories, all can agree that the most important aspect of your trail running kit is your footwear. Unlike many sports, running is something that you can do right out of your front door with minimal equipment. All of our runners suggest starting out slow and easy if you’ve never really run before. “If it’s your first time trail running, give yourself an escape route,” says John O’Regan. “For example, run the perimeter of Phoenix Park.” The terrain is varied enough to give you good practice on different types of surfaces, but you’ll never be trapped on the trail without a shortcut to get home. “If you’re looking to get into running or improve your running, diet is seriously important,” Eoin says. “Make sure you’re fuelling your body properly when you’re recovering or else you’ll be totally burnt out.” Eoin himself eats about 5,000 calories per day when he’s training, “but know yourself and your own needs!” he urges. There are plenty of resources online that can help you determine what and how much you should be eating. If you’re looking to get into trail running or know someone who might be, don’t hesitate to come into our store on Chatham Street. 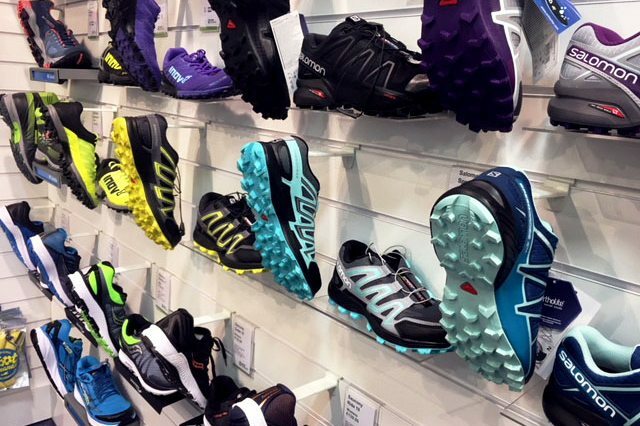 Every member of our staff is eager to help you get ready for your next trail running experience with advice and gear recommendations–you won’t walk out of our store until you’re happy with your kit!